Israel is the first to receive the state-of-the-art jet outside of the USA and will ultimately receive a total of 50. The F-35 is a one of a kind single-seat, single-engine, all-weather stealth multirole fighter designed to perform ground-attack and air-superiority missions. Its stealth technology allows Israeli pilots to carry out top-secret missions without tipping off the enemy. Within 20 seconds of takeoff, a team on the ground can see the route data of the jet, letting the pilot fly at his or her best while knowing that they’ve got support on the ground. The F-35 does not need to be physically pointing at its target for weapons to be successful. Sensors can track and target a nearby aircraft from any orientation, provide the information to the pilot through their helmet (and therefore visible no matter which way the pilot is looking), and provide the seeker-head of a missile with sufficient information. The electronic warfare and electro-optical systems are intended to detect and scan aircraft, allowing engagement or evasion of a hostile aircraft prior to being detected. The F-35 has external hardpoints to carry missiles, bombs, and drop tanks. 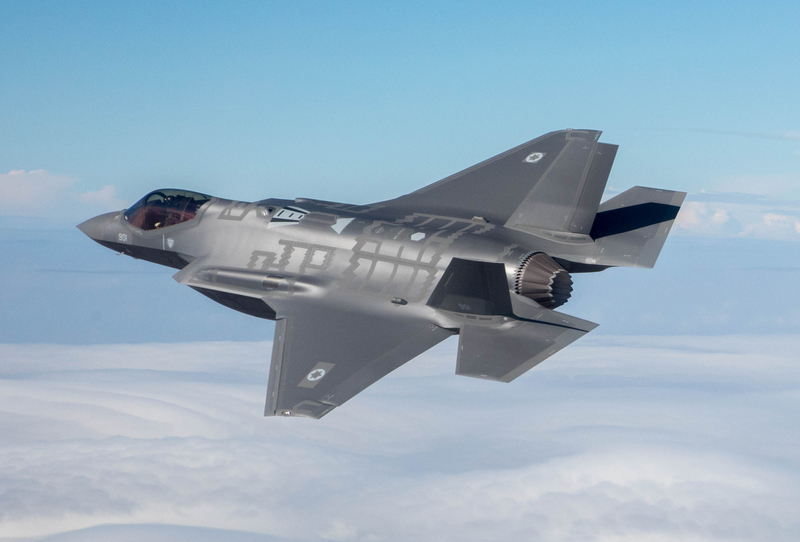 The F-35 gives Israel the edge it needs to take on groups and armies with even the most advanced technology. The IAF is adding its own systems to the jet, bringing a touch of the Start Up Nation to this already state-of-the-art plane. “Lockheed Martin F-35 Lightning II,” Wikipedia.